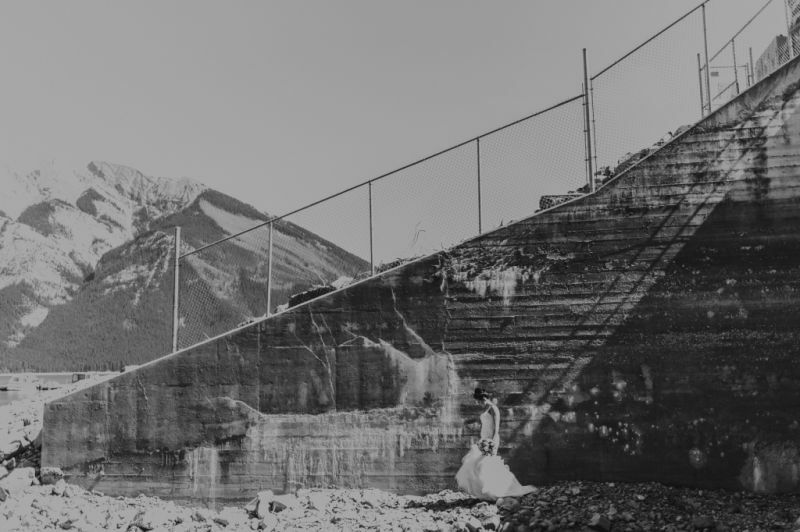 When you're in Banff you can pretty much take a photo from anywhere and have an amazing backdrop. 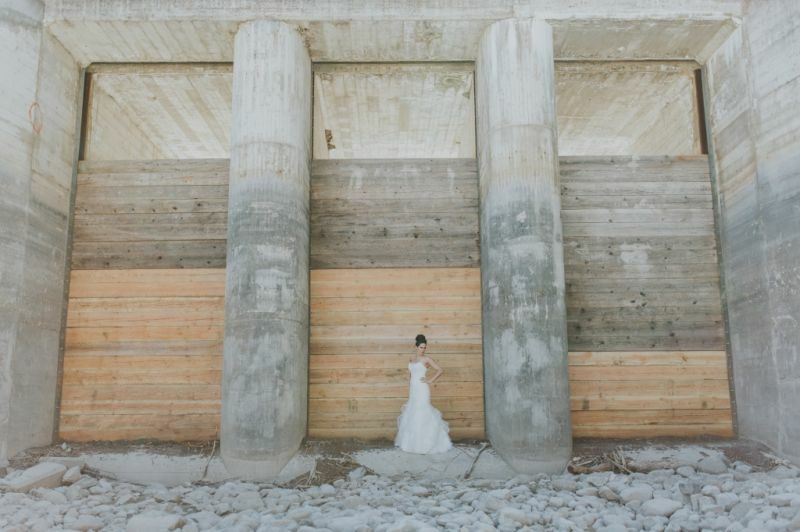 You'll even find tourists taking photos in the middle of a parking lot. 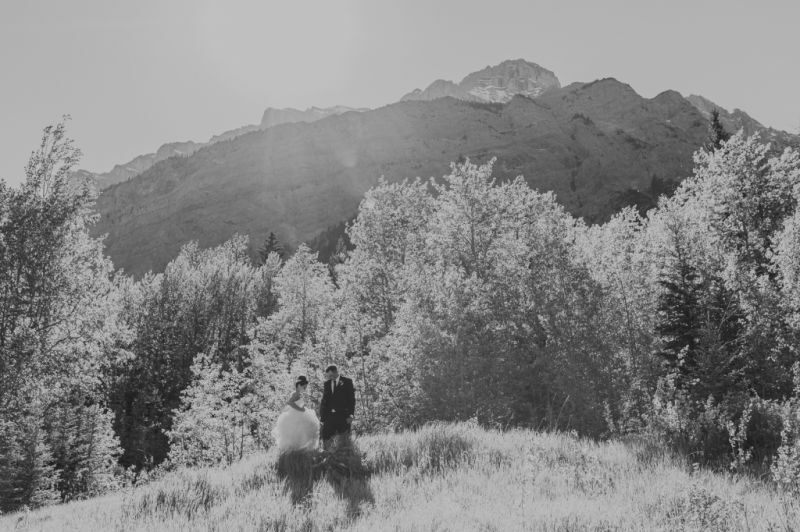 The beauty that surrounds you everywhere you go is truly one of the main drawing cards for having a wedding in Banff. 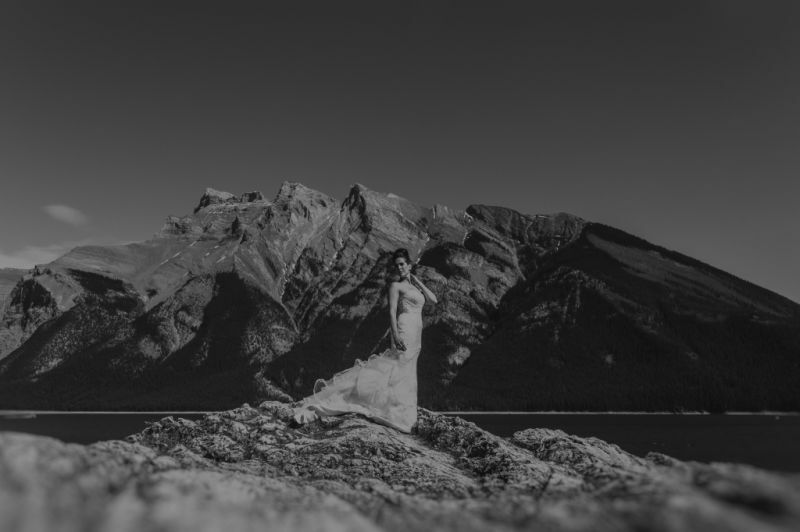 Today's bride stepped up her Banff wedding portraits to another level by working with Banff wedding photographer, Kingdom Come Photography to create dramatic, fashion-focused images. 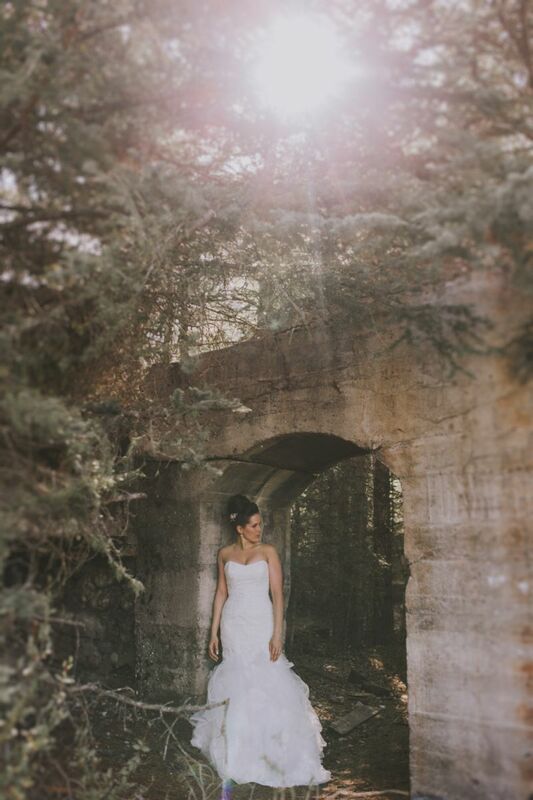 Kingdom Come incorporated the natural light of the gorgeous summer day and the raw beauty of the mountains with his signature eye for fashion to create these masterpiece photos. 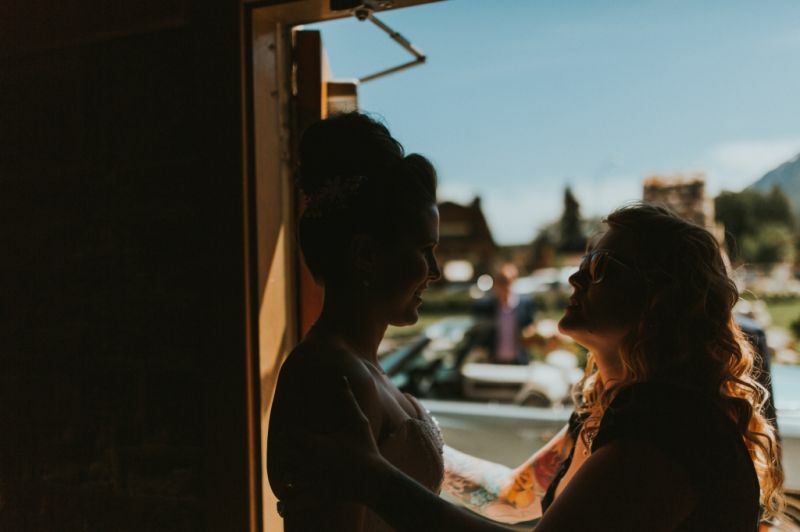 Even these getting ready photos are dramatic and amazing! 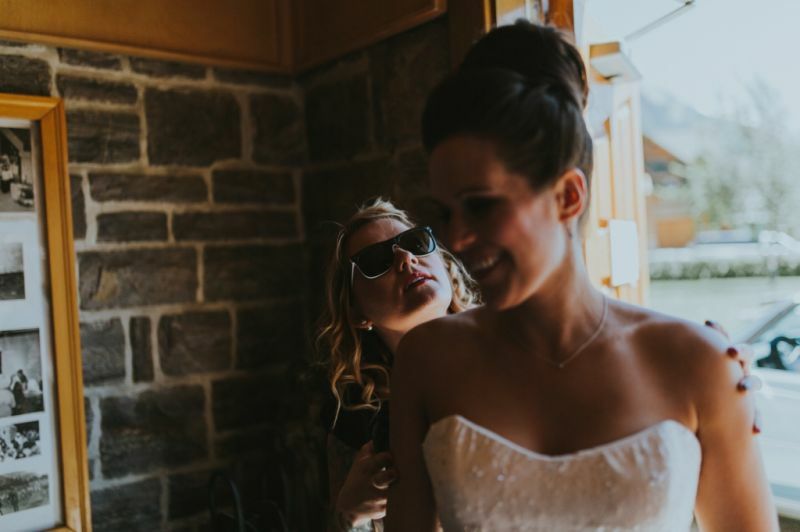 We love how he captured Mountain Beauties hard at work and looking glamorous at the same time! 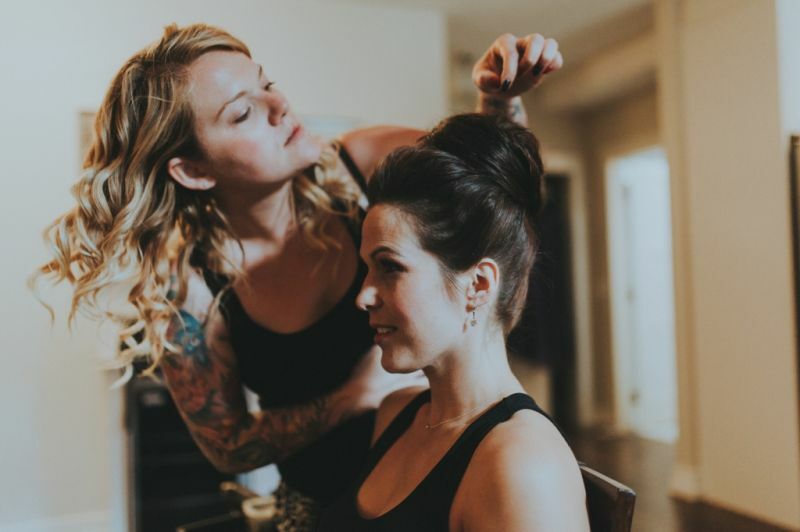 The team at Mountain Beauties, is a Banff makeup artist and hairstylist team bringing mobile beauty services throughout the Bow Valley and creating incredible looks like this modern and elegant bouffant. 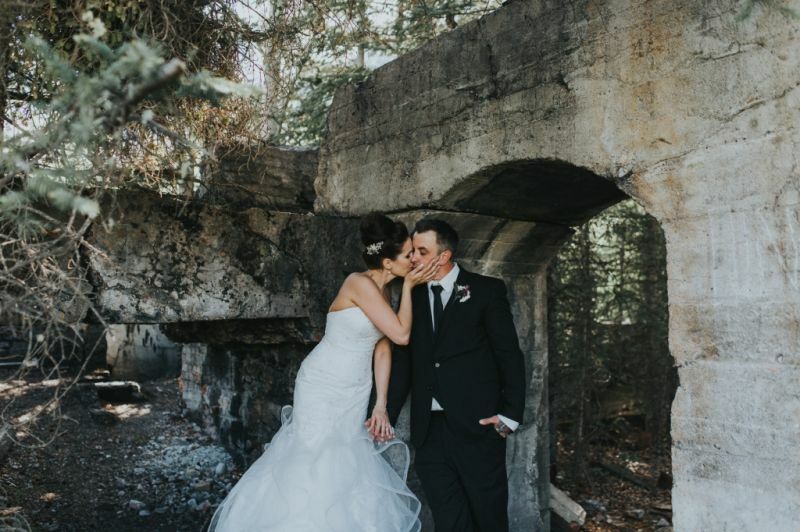 One of the great things about working with Banff wedding photographer, Kingdom Come Photography is his eye for unique images and his ability to help couples pose and look incredibly glamorous. 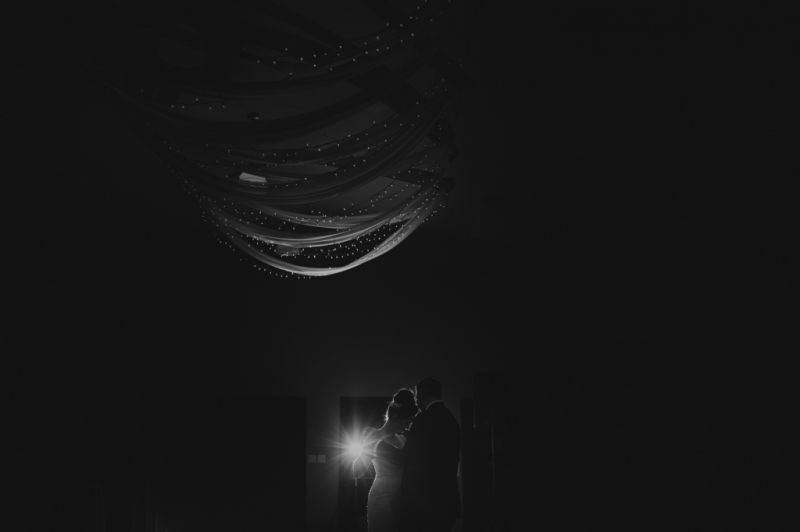 There is no need to have modelling skills or the perfect body, as long as your willing to trust him and his creativity, you'll be amazed at the unique beauty of your wedding portraits when all is said and done. 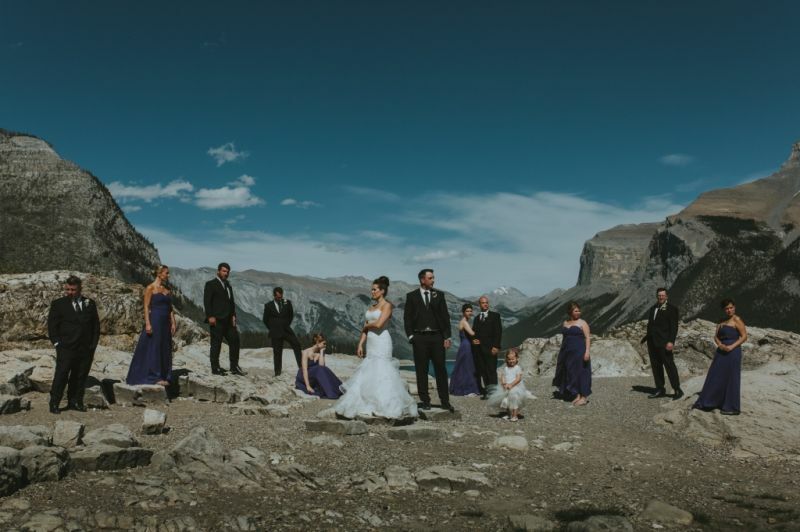 A great set of Banff wedding portraits takes advantage of multiple amazing locations in the mountains, so after taking in the beautiful mountain vistas they headed out to the Ghost town of Bankhead near lake Minnewanka. 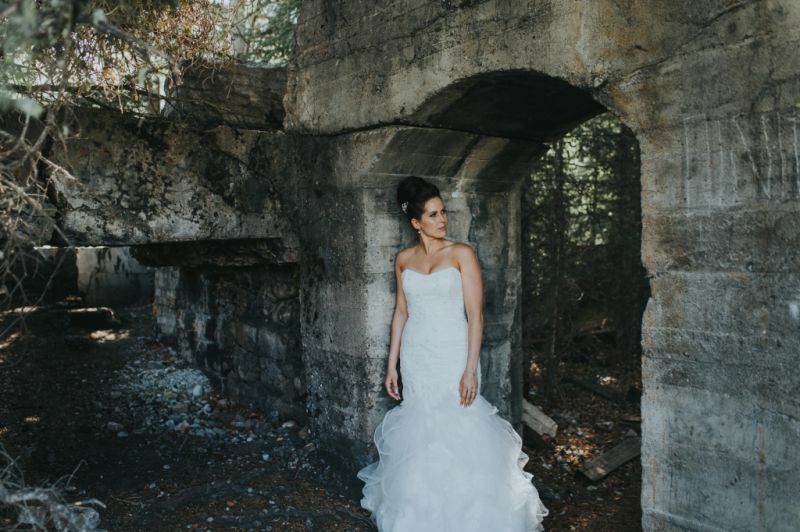 Bankhead is a fabulous photo location near Banff as it offers unique ruins in the middle of a forest and an otherwordly feel. 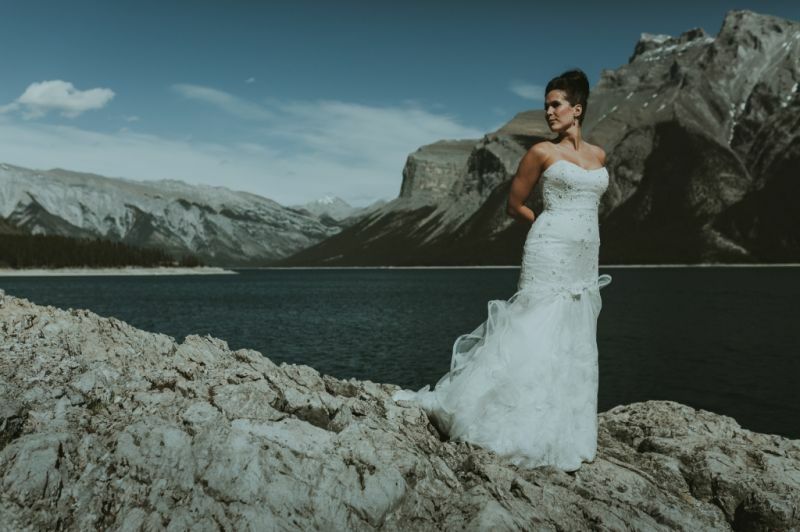 A huge thank you to Banff wedding photographer, Kingdom Come Photography for sharing these gorgeous photos with us today. 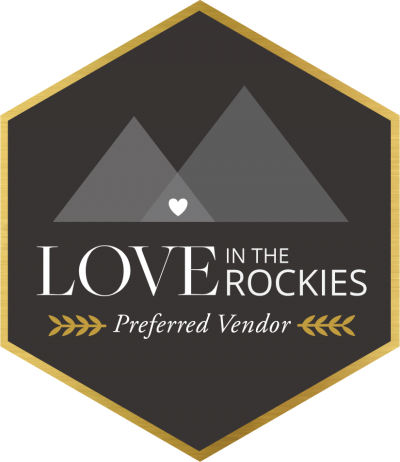 He's a member of our recommended mountain vendors and a regular contributor to our site. 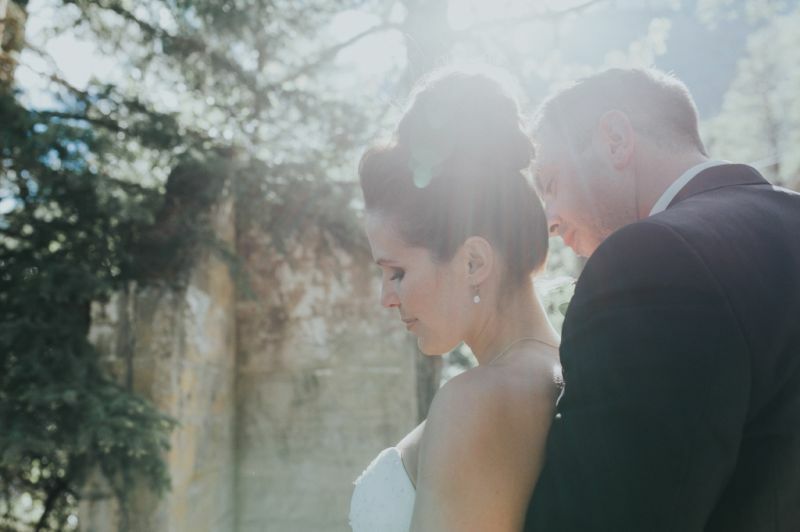 We always love showcasing the beauty of his work and seeing such creativity.